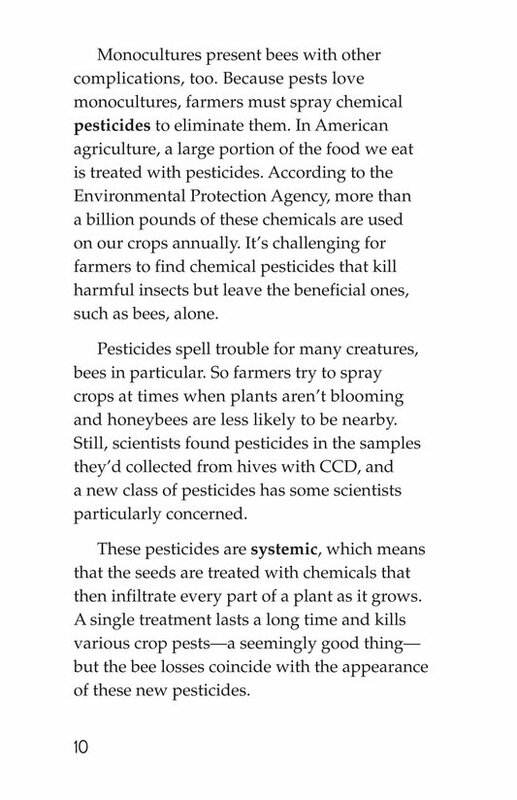 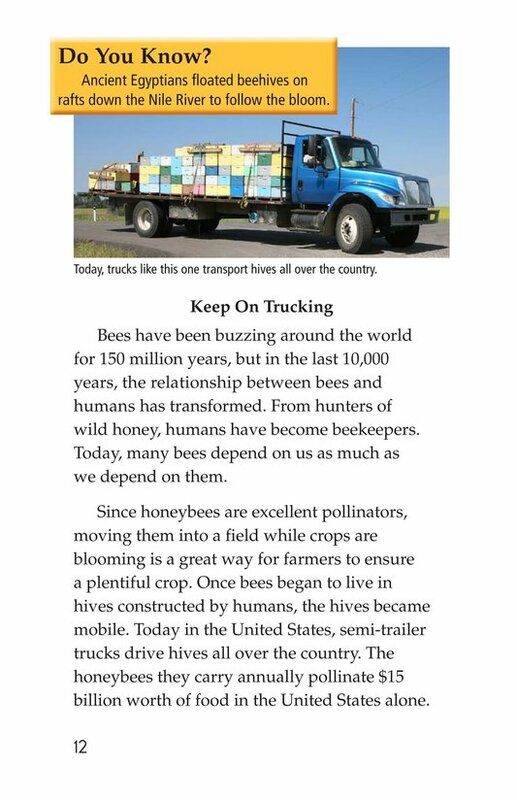 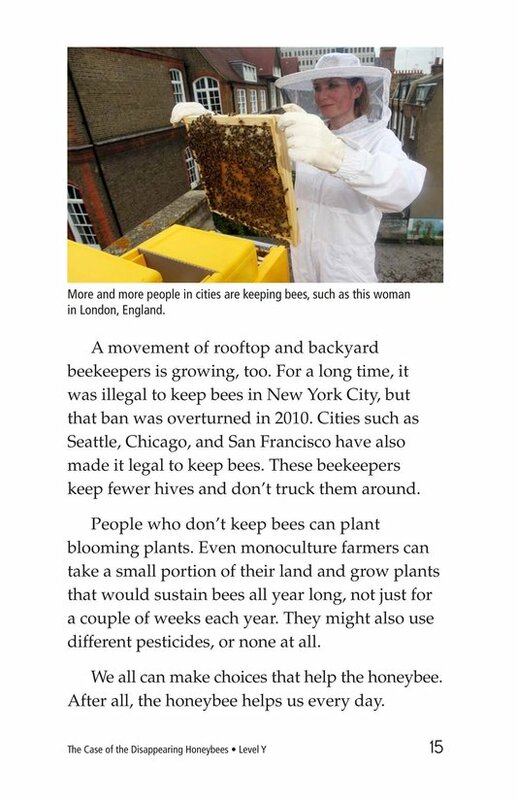 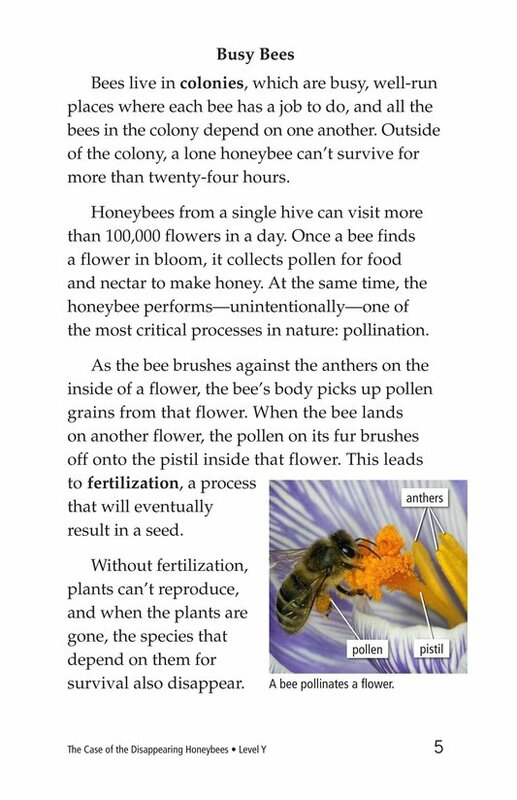 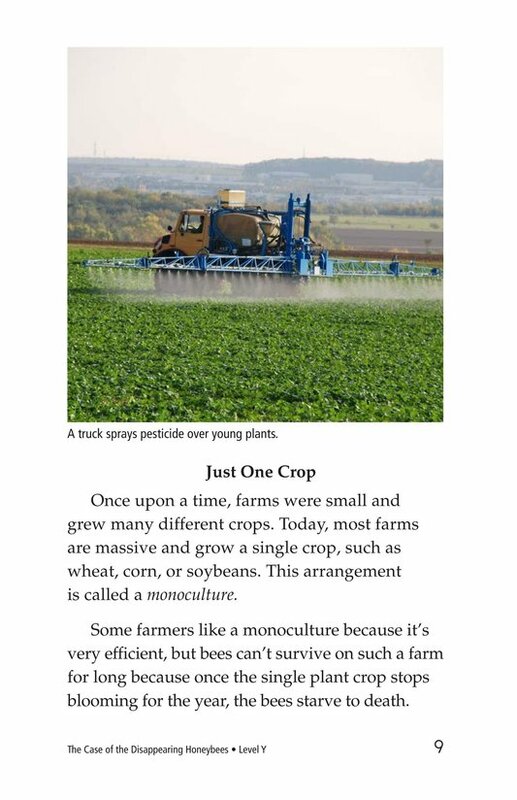 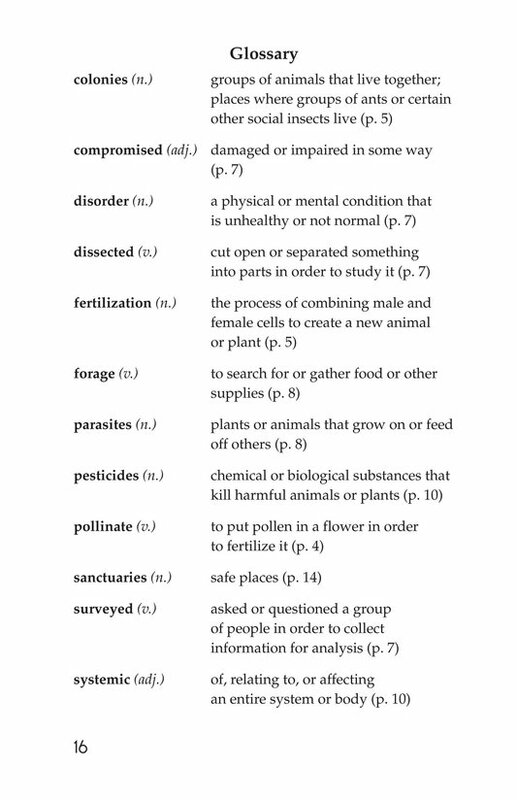 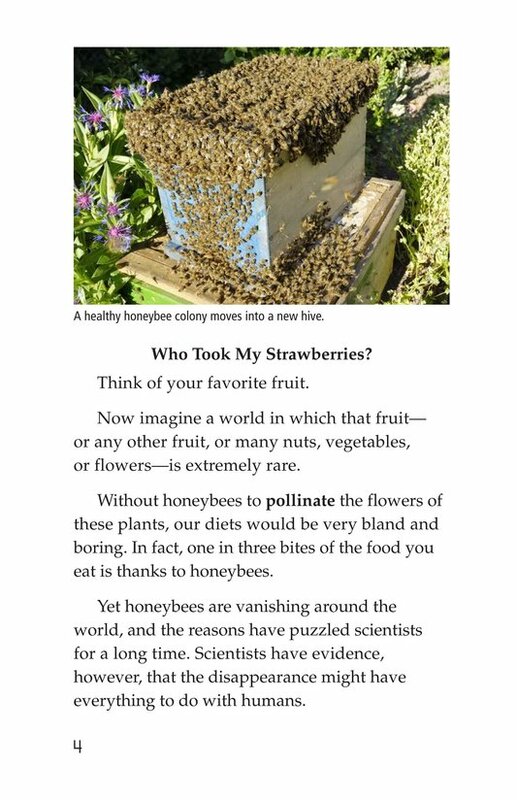 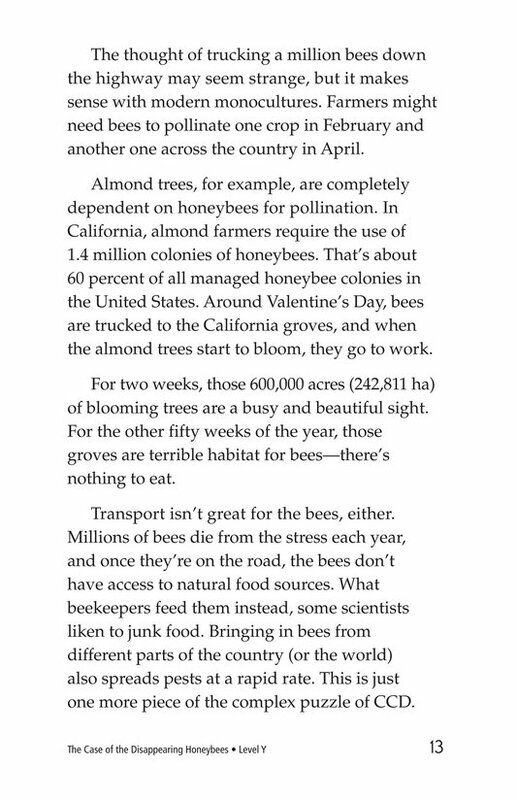 We depend on honeybees to pollinate the plants that produce our food. 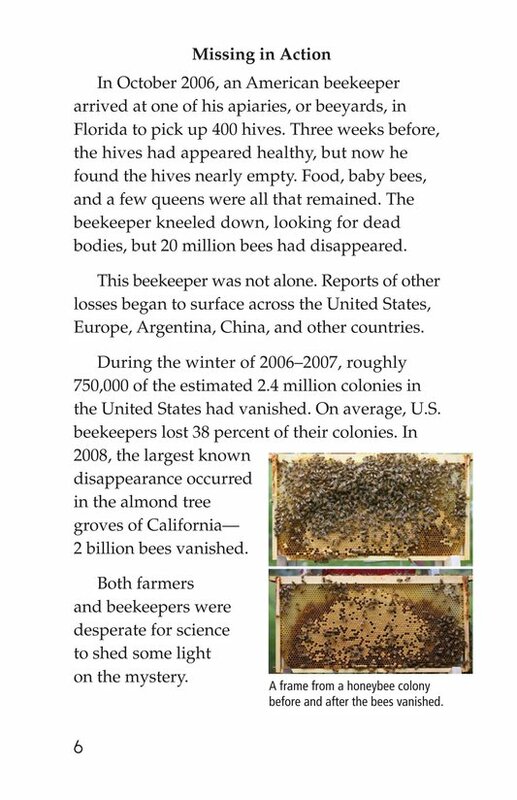 Beekeepers, farmers, and scientists want to know why honeybees started vanishing in the last decade. 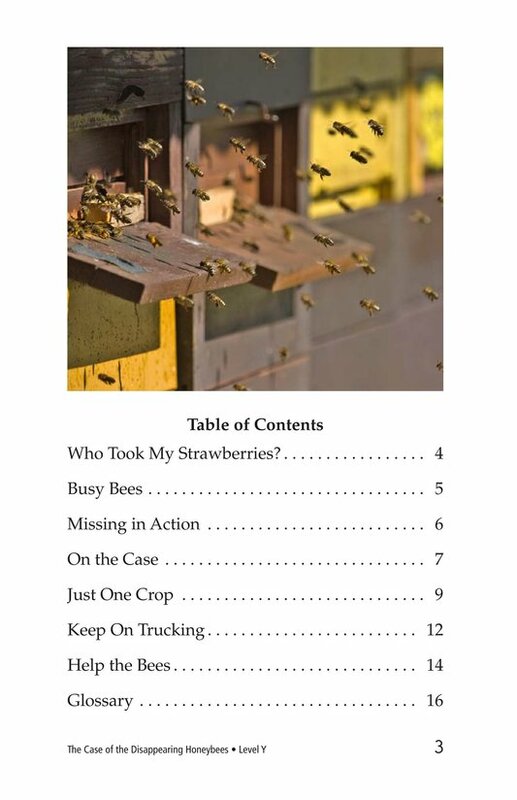 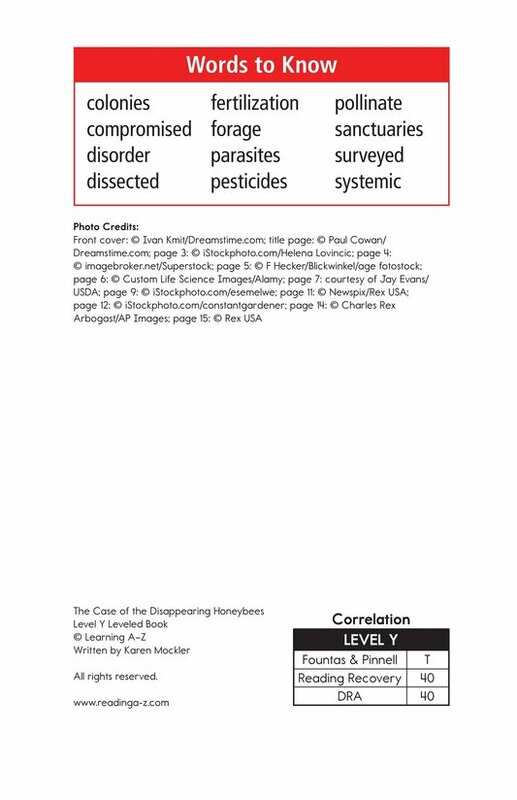 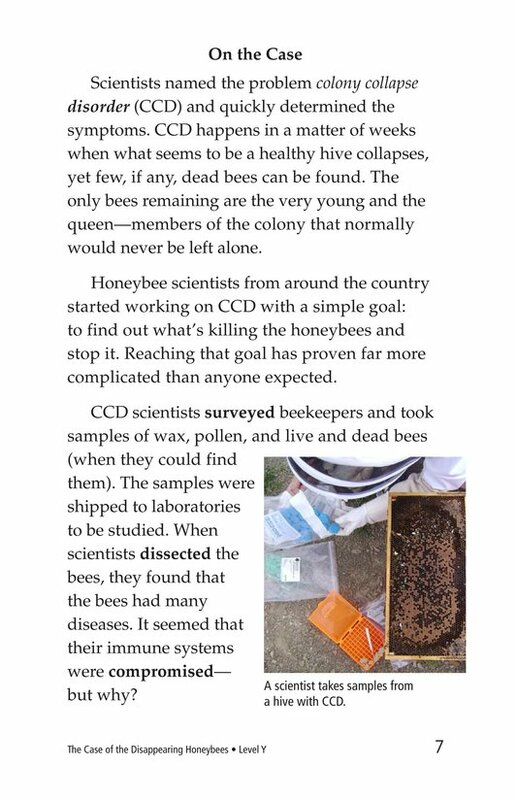 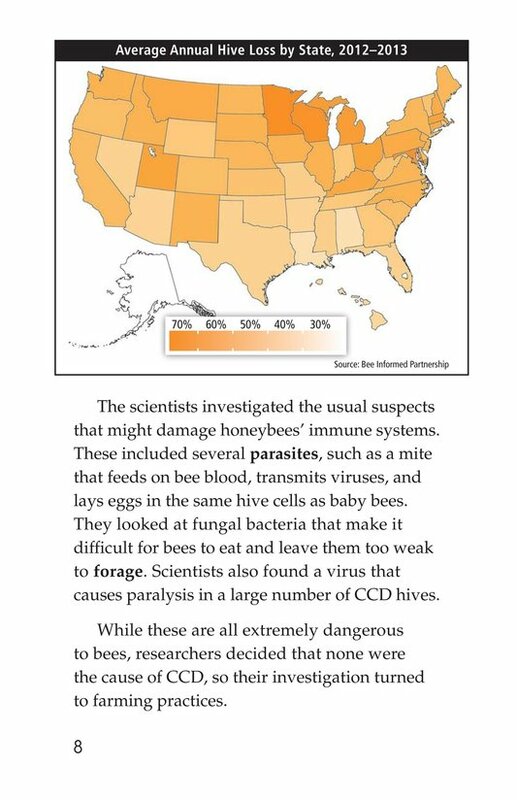 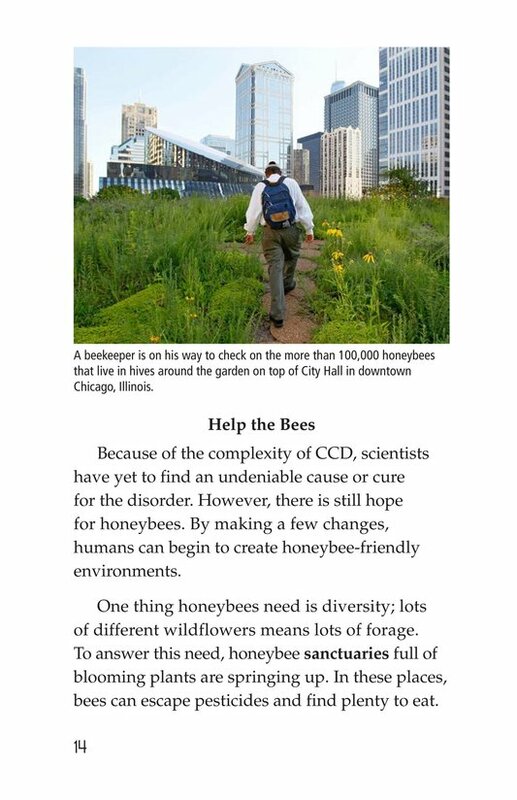 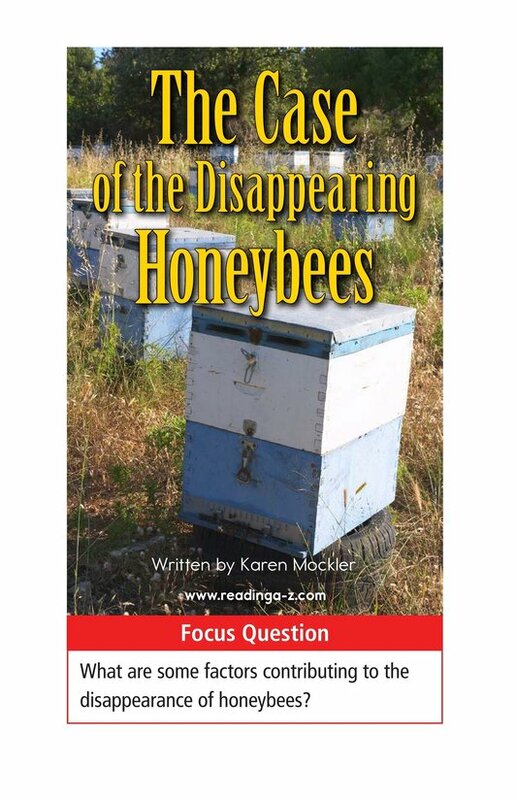 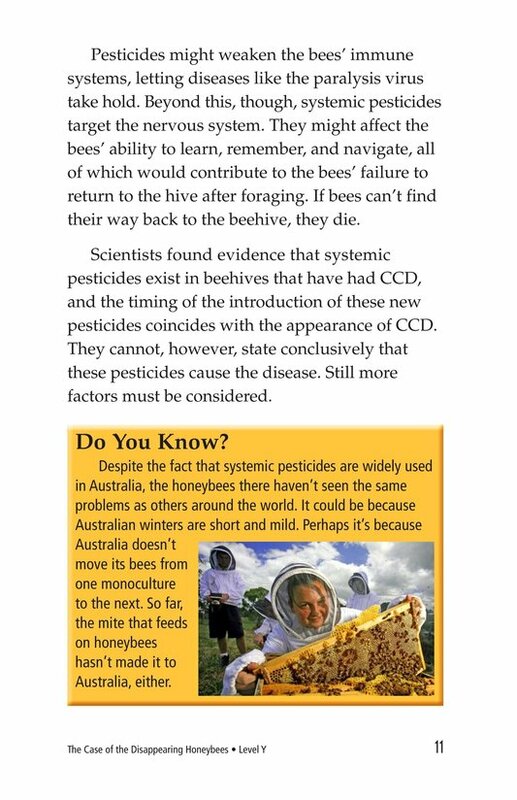 The Case of the Disappearing Honeybees explores the mystery of colony collapse disorder (CCD), a worldwide problem that results in millions of honeybees disappearing without a trace every year. 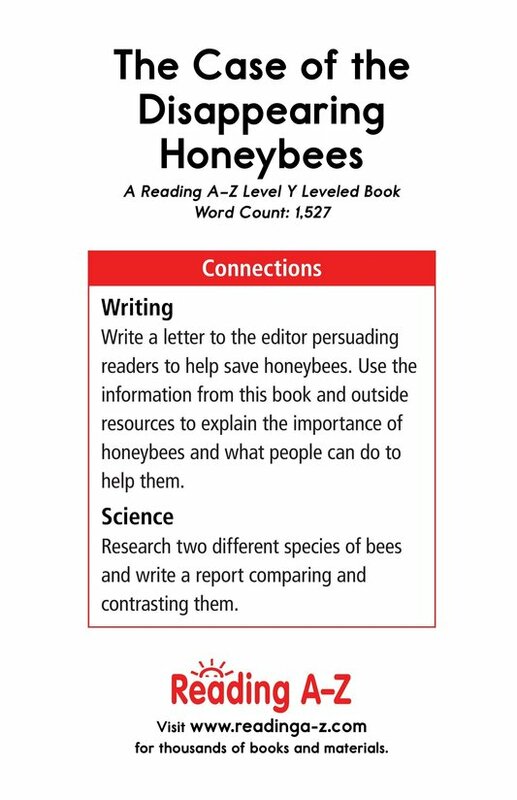 The book can also be used to teach students how to compare and contrast information and the proper use of commas in a series. 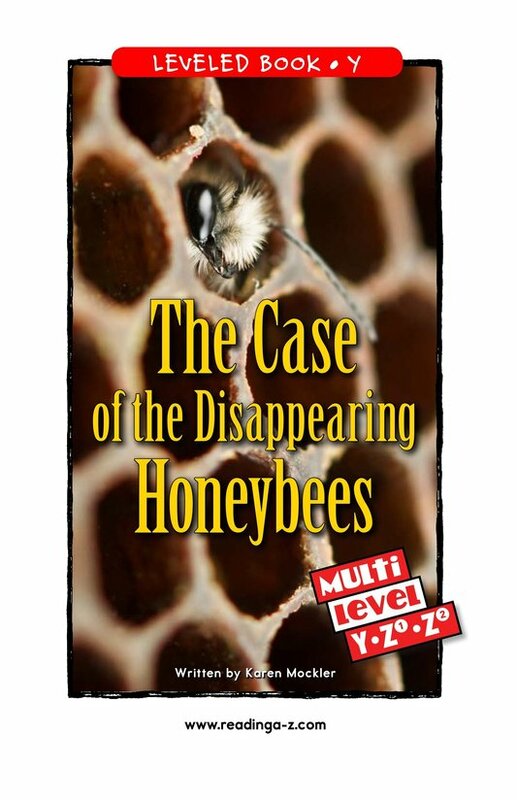 The books and lesson are available for levels Z1 and Z2.